In the U.S.A., to celebrate the release of the Ready Player One trade paperback, author Ernest Cline is holding a contest inspired by the plot of his novel. He has hidden an "Easter egg" in the text of both the hardcover and paperback editions of Ready Player One. If readers can find this hidden clue, it will lead them to the first of three increasingly difficult video game challenges. The first video game challenge is an Atari 2600 game that contains another Easter Egg that will lead you to the Second Challenge. Completing the Second Challenge will lead you to the Third and Final Challenge. The first person to complete all three of these challenges will win the grand prize, a 1981 DeLorean automobile, complete with a Flux Capacitor! 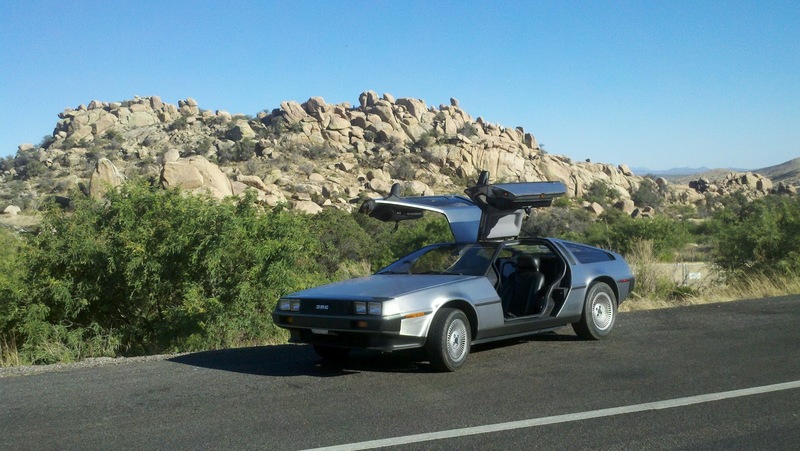 Ernest Cline will be driving this DeLorean across the U.S. on his book tour this June, so contestants will have a chance to see the grand prize in person at each of his book signings. For more info on the contest rules check out this blogpost. Sarah Ash has been a favorite of mine since I started reading fantasy and her Tears of Artamon trilogy along with the Alchymist's Legacy duology remain my perennial favorites. Recently she has started releasing chapter excerpts of the sixth Artamon book tentatively titled "Drakomancer". According to an earlier blog post of hers, "Drakomancer" was previously titled "A Shiver of Silver", and is set in Francia (or, to be accurate, a little kingdom of Francia called Sapaudie) and in Allegonde at least a hundred and twenty years or so before Lord of Snow and Shadows takes place. The first chapter along with the second chapter can be read over HERE. Note: DeLorean photo courtesy of Ernest Cline, "They were Seven" picture courtesy of Marcelle Natisin. Contest Announcement via Philippa Cotton. THE INDIE DAY GIVEAWAY II FOLLOWUP: M.R. 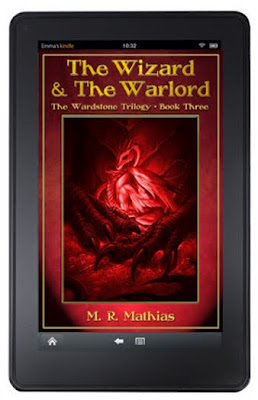 Mathias Talks “The Wizard and the Warlord”, Independent Authors, Free Books, & More! Hey guys! It’s “Indie Kindy” time again. I hope all of you have entered the contest. I wanted to take this time to tell everyone a little about me, talk a little bit about the authors I chose for the contest, introduce a few other indie writers to keep on your radar, and of course plug my new book, “The Wizard and the Warlord” (The Wardstone Trilogy Book Three), which was released in all ebook formats recently, and is this year’s sponsoring novel. The paperback version should release as scheduled on July 4th. I know you are all going to have a GREAT Independence Day. To make it even better I am offering the newly revised Kindle edition of “The Sword and the Dragon” (The Wardstone Trilogy Book One) FREE today and on July 2nd, 3rd, and 4th. If you don’t have a Kindle, I promise they have an app you can use to take advantage of this offering… Now to this year’s “Indie Kindy” heroes! First up this year is Tom Bielawski, returning soldier, and Scribe's Forge graduate. I met Tom through Facebook just before he came home from overseas. After learning about his association with Tracy Hickman I couldn’t resist. He is a true hero. Second this year is Ty Johnston. I ran into Ty in the horror thriller section of some website or another. My alter ego writes that kind of stuff, and since Ty has some good fantasy out there too, I wanted to ad him. Thomas Rowe Drinkard is next. He is a Veteran and fellow I.A.N. member. I read his unique take on Vampires and love the whole idea of it. 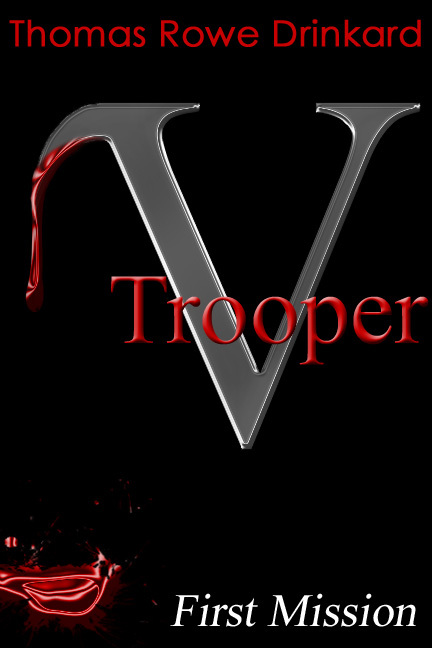 V-Trooper was a fun read. It’s that simple. Last, but definitely not least this year, is D.P Prior. Derek is the one responsible for me knowing what “POV,” and the difference between “Telling” and “Showing” is in writing. If you ever played AD&D or just like dwarves and solid fantasy, his Nameless Dwarf series is fantastic. Now I want to point out a few more indie authors that I see trying to compete with the big dogs. Brian Rathbone’s Call of the Herald (Order HERE) is a good one. Even better, it’s FREE! Then there’s Moses Siregar, David Dalglish, Daniel Arenson, B. V. Larson, and Tracey Alley who all have a free fantasy book out for you to try. 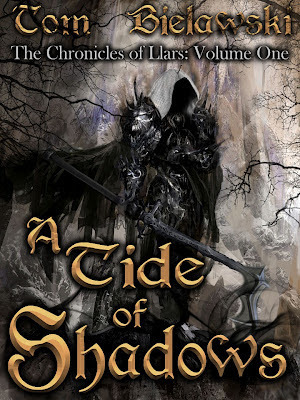 Finally, Union of Renegades: The Rys Chronicles Book I by Tracy Falbe (one of last year’s “Indie Kindy” authors) is also free. In other genres, we have Jeff Hepple (Historical Fiction), Margaret Ann Lake (Historical Romance), Craig Hansen (YA Paranormal), J.C. Phelps (YA Action/Adventure), and Scott Nicholson (Horror). And I would be wronging readers if I didn’t mention with a GREAT BIG SHOUTOUT all the great authors of the Independent Authors Network (search #ian1 on Twitter). This is where the next great romance, suspense, or feel good novel will come from. “M.R. Mathias rose from unknown to award-winning, best-selling author at a pace most authors can only dream about. He is a prolific writer of epic fantasy novels, novellas, and short stories. 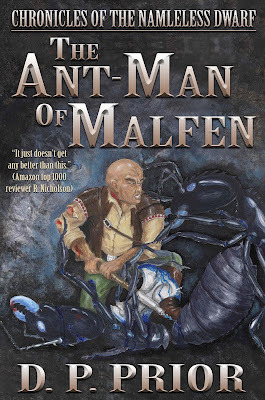 Despite his busy writing, publishing, and promotional schedule Mathias continues to aid his fellow indie authors by posting about their books at Twitter and Facebook etc. He shared his considerable knowledge of self-promotion in publishing The First Ten Steps. The book has become an important indie guide for navigating the often murky waters of using social media sites to get your eBook in front of avid readers. Mathias has taken cross promotion to a new level in his “Indie Kindy” giveaways where he gives away a FREE Kindle Touch and or Kindle Fire loaded with independently published books. These events create a great deal of interest for the authors involved and to independently published books as a whole. That’s it! Now you have plenty of indie to get your summer fantasy fix with. So don’t forget to get The Sword and the Dragon FREE today and over the holiday. 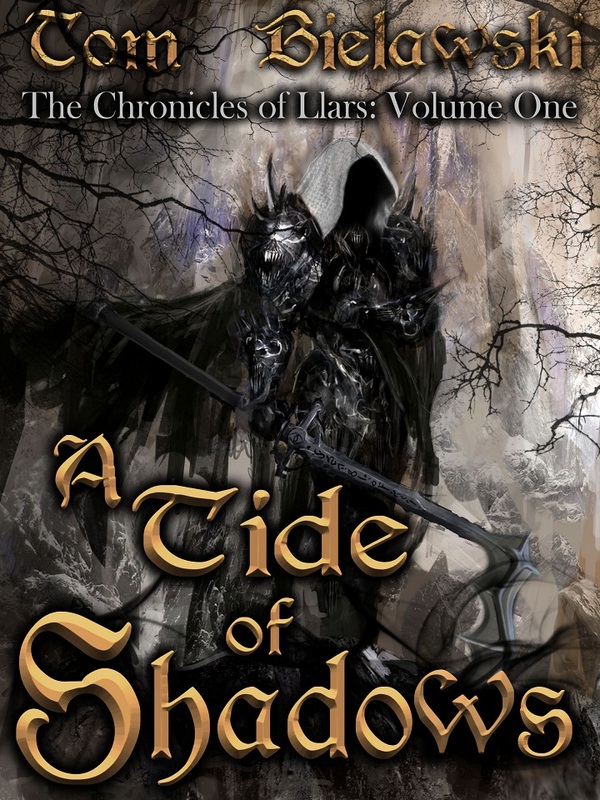 And I would be honored if some of you check out my newly completed Wardstone Trilogy. From the moment I started writing it in that Texas prison cell in ’08 until now, I have put my all into that grand epic. So I can only hope you enjoy reading the books as much as I enjoyed writing them and bringing them to fruition. Thanks FBC for hosting. Your readers are the best. AUTHOR INFORMATION: Peter Clines was born and brought up in Maine, he moved to California when he grew up and worked in Hollywood for a number of years. He has also been a prop master for several movies and TV shows. He has written reviews for the Cinema Blend website as well as for the Creative Screenwriting magazine. He has previously interviewed many famous film personas such as Frank Darabont, Paul Haggis, Kevin Smith, George Romero, Akiva Goldsman, David Goyer, Mark Herman, Nora Ephron and many others. He currently lives in Southern California. OFFICIAL SYNOPSIS: Padlocked doors. Strange light fixtures. Mutant cockroaches. There are some odd things about Nate’s new apartment. Of course, he has other things on his mind. He hates his job. He has no money in the bank. No girlfriend. No plans for the future. So while his new home isn’t perfect, it’s livable. The rent is low, the property managers are friendly, and the odd little mysteries don’t nag at him too much. At least, not until he meets Mandy, his neighbor across the hall, and notices something unusual about her apartment. And Xela’s apartment. And Tim’s. And Veek’s. Because every room in this old Los Angeles brownstone has a mystery or two. Mysteries that stretch back over a hundred years. Some of them are in plain sight. Some are behind locked doors. And all together these mysteries could mean the end of Nate and his friends. FORMAT/INFO: 14 is 370 pages divided over four titled stories, and an introduction. Narration is in the third-person for all sections featuring POV chapters from Nathan “Nate” Taylor, Malavika “Veek” Vishwanath, Roger, Andrew, Mandy and Claire. 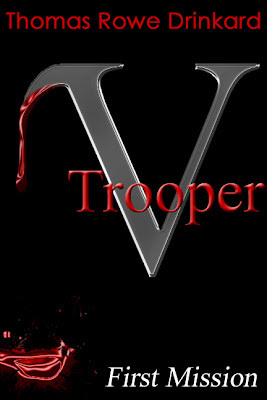 June 5, 2012 marked the e-book and paperback publication of 14 via Permuted Press. Cover art is provided by Conzpiracy Digital Arts. 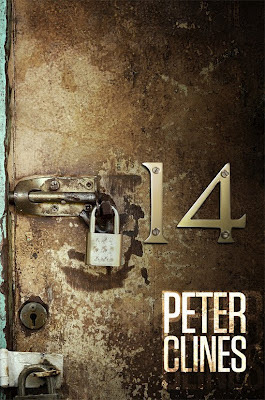 ANALYSIS: 14 is a book that had a lot of secrecy attached to it, Peter had hinted about it in various interviews and blog posts. I compiled a blogpost wherein some of its mystery was mentioned So when I got a review copy of the book, I was prompt to start the book and find out what was the big mystery at the core of the book. The best and worst part about reviewing this book is its central plot and how much a reviewer can describe of it. In this regards this book becomes a very tough cookie to talk about, leave alone review it in its entirety. The book plot begins with Nate who is in LA and is looking for a new apartment, he hears about this new place that is really cheap and fills in the application for it. Upon getting acceptance he moves in and finds that as the building and its occupants are odder than they appear. Beginning with the building manager Oskar and right down to cockroaches found in the building, that have a emerald tinge to them. His curiosity soon gets ahead of him and he soon starts discovering that the building might be much older than is apparent and also server a purpose much more meaningful than other deemed important by human minds. The biggest mystery along with the host of the other smaller ones is for the reader to discover as the author intended. The tale is very much like an episode of the Twilight Zone with a huge helping of LOST mythology and secrets. The reader is slowly taken through the mystery of the building as does the main character Nate, drawing in on a host of influences and backgrounds, Peter Clines has written a fine story. The mysteries are several and range from the miniscule to major ones however the trick is in recognizing which is what. The best part of the story that it shares with LOST, is its terrific characterization, beginning from the main character and to all the side character cast, the author has given all of the characters interesting personalities and it makes the story come alive. The reader gets invested in the characters wanting to know more and thereby as a result feels much more attuned with the overall direction of the story. Characterization has always been a strong point of Peter seen in his Ex-Heroes books as well as the short story collection “The Junkie Quatrain” and this trend continues colorfully in this story as well. Another fact that I liked about the story and one that strengthens its connections to the LOST-like setting is the mythology and background present in the story, tracing its roots to a couple of famous scientists as well as literary figures. The story veers back in to SF and horror territory smoothly and then back into a character study. 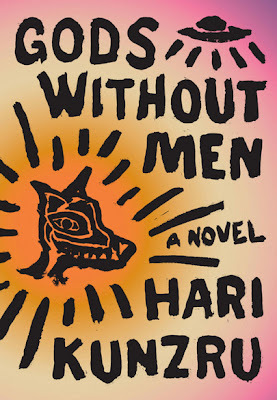 The humor and character bickering are also spectacularly present thereby giving the reader a fun read as well thereby alleviating the story’s darker parts. Lastly the author’s nods to pop culture, Hollywood and other literary works made this book a fun one and like LOST has some connection to the plot as well. 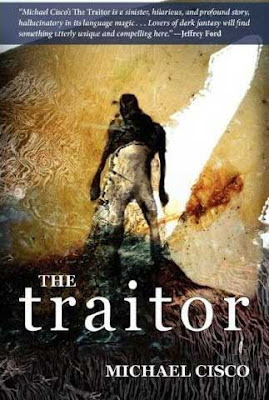 The only thing that I felt went against the book was it is a standalone and at the end of the book, the reader gets this intense feeling of wanting to know more about the world and possible future/fate of several characters as well as exploring more of the history and the reason for the creation of the Kavach. The last word means something in Marathi, my mother tongue and so it was quite exciting for me to see its use in this book with the proper context. CONCLUSION: Peter Clines takes a well thought concept and creatively expands on it to give the readers an excellent mix of The Twilight Zone, LOST & H.P. Lovecraft, this is a story for all the people who want something interesting to read and get a complete story in the end. 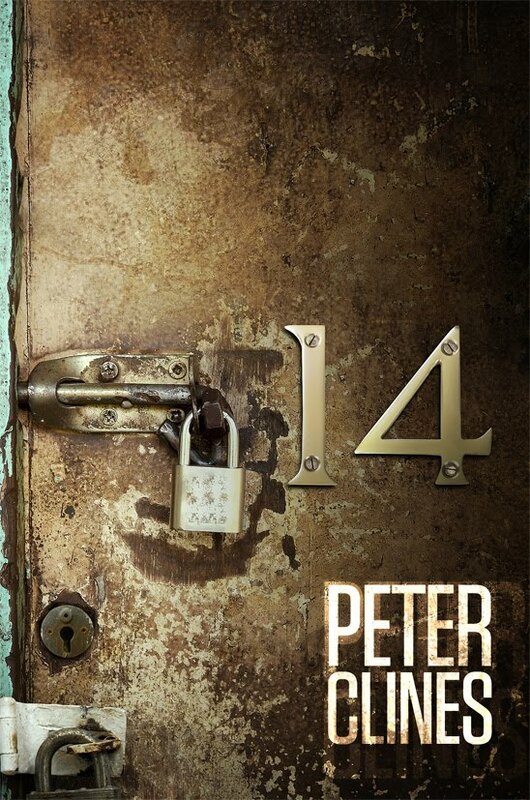 Read it and find out why Peter Clines needs to heralded as one of SFF’s rising superstars. As I will be away from Fantasy Book Critic for the next 10 days or so for a NYC trip that announces itself very busy like the April one - hopefully returning here on July 3rd with the July Spotlight - and as we are already close to the end of the first half of 2012, I am posting the usual collage of covers (courtesy of Goodreads cover view) of my two main lists of recommended 2012 books, the Top 25 and the Highly Recommended. 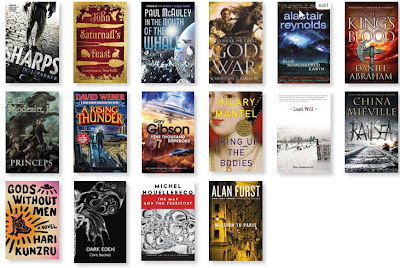 I will note that I have reviewed almost every published books from the 34 there - 24/29 - with planned reviews of Railsea and Bring up the Bodies in July/August, while 5 upcoming books (KJ Parker, Lawrence Norfolk, Peter Hamilton, James Corey, Tom Reiss) will get reviewed more or less on publication except for Caliban's War which is officially due next week, but is already out, that to be reviewed in July. Of course these lists are changeable, especially the top 25 which is completely positional so it strongly depends on upcoming books and on how the books in cause wear in time so to speak and I listed some books that should make them HERE and HERE, to which I would add Celebrant (Michael Cisco) and of course Adjacent (Christopher Priest) if it makes 2012. Michael Cisco (Website with excerpts from a few of his novels HERE and Blog HERE) is a name which comes up often when people talk about exceptional authors who are not well known. For some years now I have been trying to read his work as I have started to buy his books from The Tyrant on and it seems that now with the recent publication of his latest novel Celebrant, the time has come as his prose started really clicking for me too. While I plan to review his books here as I go through them, here is an invitation to his work with blurbs for each of his most recent five novels. 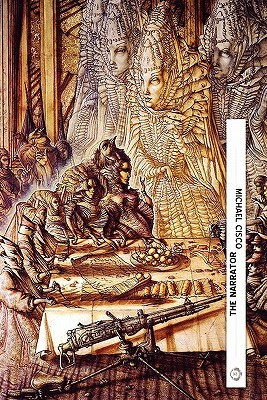 The latest novel from Michael Cisco (The Narrator, 2010, The Great Lover, 2011), Celebrant is the story of deKlend’s search for the mystical city of Votu, where time runs backwards, deified robots arise naturally in the mountains like mysterious rock formations, and gangs of vagrant orphan girls scavenge for survival whilst engaging in strange rivalries and alliances. With a Miyazaki-like sweep of fantasy, and the Calvinoesque imaginative appeal of a guidebook to another world, this initiatory novel of reincarnation, pilgrimage, and discovery, experiments with other ways of locating yourself. He lives in the sewers... and in the black world between stations... the trains shrilly call to one another blind and massive in the dark - black rushing silence, rent by screaming trains ... Like the hideous angler fish of the ocean's deepest places, he is an otherworldly scavenger drifting in currents heavier than avalanches, slow as glaciers, a sea wasp with a bridal train of tingling nerves that drift in the sewage time and again tangling in women's dreams. 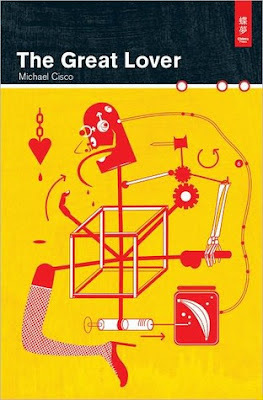 From Michael Cisco, author of The Divinity Student, comes a visionary novel of eros and thanatos. The Great Lover, the sewerman, is the undead hero who nonetheless carries the torch of libido and life. Mischievous Frankenstein, uproarious cartoon demon, mascot of the subway cult, witch-doctor of feculent enchantment and weary veteran of folies d'amour, he stands, or shambles, as our last champion against the monochrome, white-noise forces of Vampirism. In Michael Cisco’s The Narrator, the narrator Low is conscripted into an army to fight against the “blackbirds,” who possess lighter-than-air armor. But first, our hero must play a waiting game in a city of cannibal queens and uncanny dead things, with priests for both the living and the dead. The Edak, strange remnants of a mighty imperial power, must be avoided at all costs. Once mobilized, he sets off on a journey that is by turns absurd, surreal, deadly, and one of the great feats of the imagination thus far in this new century. 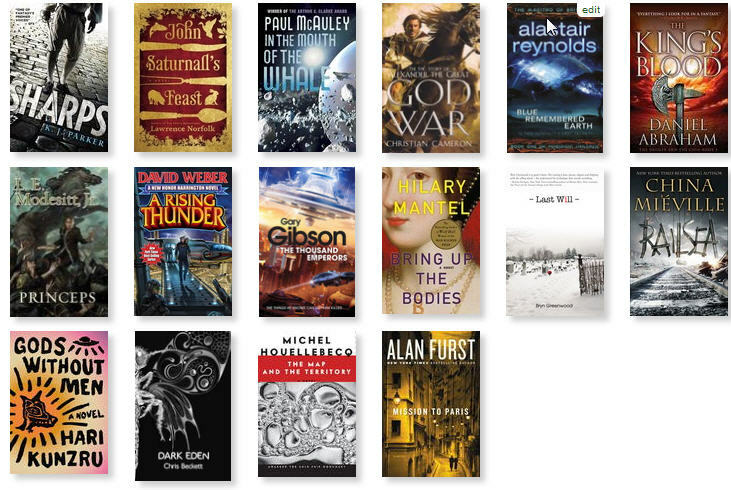 The novel is possibly also the most neglected of the year. Michael Cisco, the Amerikan Kafka, deserves your attention. 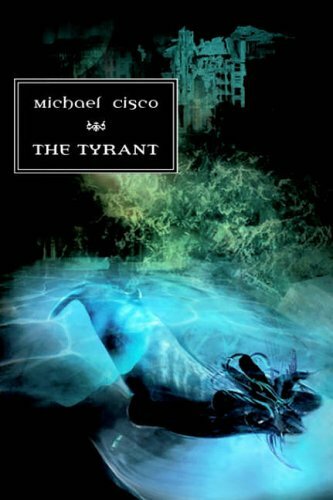 Cisco (The Tyrant) ups the ante for provocative dark fantasy by giving this coming-of-age tale a subtle metaphysical edge. While still a boy, sensitive Nophtha realizes that he's uncommonly empathetic and able to see the world from the perspective of others. Tutored by his uncle, Nophtha apprentices as an itinerant spirit eater, or someone who absorbs lingering ghosts that congest the surrounding atmosphere and converts their essence into formidable healing powers. One day, Nophtha crosses paths with his alter ego, Wite, a soul burner who hopes to evolve to a higher level of being by gorging himself on the souls of the living. Under his sway, Nophtha is compelled to evaluate whether he and Wite are that different in nature, and to assess his feelings about family and community. "Ella is a 15-yeal old girl crippled by polio, a genius taking graduate courses in biology and demonstrating a strong talent for working with ectoplasm. 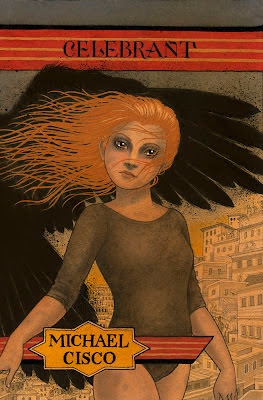 She journeys beyond death in Michael Cisco's visionary novel 'The Tyrant'. Taken as an assistant to the famed Dr. Belhoria, she'll be helping Doctor Belhoria in her study of a talented young epileptic man as he descends into a trance which will take him to the Underworld"
INTRODUCTION: With the intriguing blurb below, I surely wanted to try Jean Zimmerman's fiction debut The Orphanmaster. "It’s 1663 in the tiny, hardscrabble Dutch colony of New Amsterdam, now present-day southern Manhattan. Orphan children are going missing, and among those looking into the mysterious state of affairs are a quick-witted twenty-two-year-old trader, Blandine von Couvering, herself an orphan, and a dashing British spy named Edward Drummond." Note that the title refers to a Dutch official - in the novel's case one Aet Visser - so it's spelled in the one word fashion. 33 year old English cavalier, spy and diplomat Edward Drummond on a mission to the New World to track a few of the remaining regicides whom Charles II and his chief minister has been mercilessly pursuing since his recent restoration. "Edward Acton Drummond. A cavalier in England, a chevalier in France, a ritter in Germany, a freebooter on the high seas, persona non grata in Spain and Rome. Of the royalist faction labeled the Swordsmen, member of the secret society called the Sealed Knot. With Prince Rupert on his naval adventures privateering in Guinea and the West Indies. Lately operating in Switzerland and the Low Countries. Now, America. His merchant mask in place, ill- fi tting and awkward..."
22 year old Dutch merchant Blandine van Couvering, from a trading family but orphaned at 15. With the help of the Orphanmaster of the title, Blandine managed to get the reins of her family business and she is now an up-and-coming personality of the colony despite her gender and youth. "Everywhere were stacked colanders and kettles, pins and vinegar, blankets and Bibles and toys. The warehouse, like the colony itself, skewed heavily male, a realm of pipe- sucking traders, profane sail captains and percentage-minded excise officials. But among the Dutch, profit was a promiscuous god, welcoming all supplicants, and in the counting rooms that fall day worked a scattering of she- merchants. One among them, a woman of twenty- two years, directed a young female assistant in the procedures of trade." "Four streets ran north- south, up the island to the wall: Pearl, Smit, Prince and the Broad Way. Eight roads crossed the settlement east to west, including the Strand, on the island’s southern tip, and Langs de Wal, Wall Street, the path that ran below the northern palisade. New Amsterdam’s population commingled the dominant half who were Dutch with German, English, Swedish, Polish, French, Jewish and African elements in a fluid, uneasy mix. River Indians walked freely down the settlement’s streets, on shopping sprees for sweet pastries or bolts of cloth. Beyond the wall lived small communities of Africans, strategically located to absorb attacks from marauding native Americans. The African settlements thus acted as shields for the benefit of the Dutch colonists in the town." The book flows well to start and the life of the colony, the geopolitical situation and of course the story of Blandine and Edward seem to offer a great reading experience. 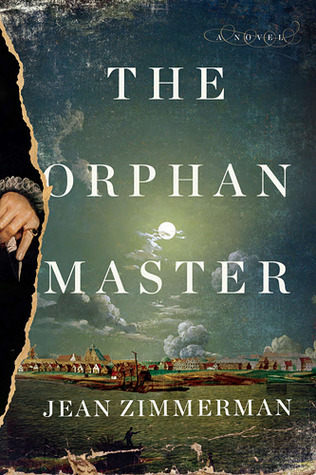 Sadly The Orphanmaster soon loses its focus and it never really decides what it wants to be - a thriller with missing orphans, gruesome killers and graphic acts of violence or A level historical fiction depicting a crucial moment in the history of America, so the pace becomes very uneven and the action scatters. There are a lot of interesting passages and the historical part as well as the relationship between the main characters - Edward, Blandine, Aet Visser, and a few others remains fascinating, while the atmosphere stays authentic, but the thriller/horror part is strictly cheap B-grade stuff nearing junk F on occasion and the prose also reflects this so one gets the feeling of reading two books - wonderful historical fiction and then inserted and disrupting the flow, horror and supernatural stuff that is generally more laughable than scary. "Go beyond the Wall and across the narrow sea with this collection about George R.R. Martin’s A Song of Ice and Fire, from A Game of Thrones to A Dance with Dragons. The epic game of thrones chronicled in George R.R. Martin’s A Song of Ice and Fire series has captured the imaginations of millions of readers. 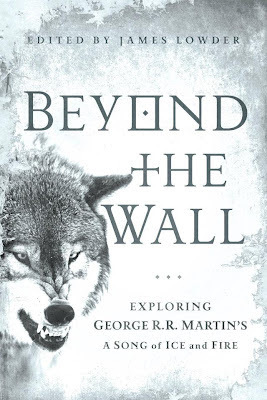 In Beyond the Wall, bestselling authors and acclaimed critics offer up thought-provoking essays and compelling insights"
INTRODUCTION: As a huge series fan and also as I own the art books inspired by the novels, I was very curious about this essay book since I heard about it some months ago. While the recent A Feast of Ice and Fire is a bit "too out" for my interests, the upcoming map book "The Lands of Ice and Fire" is another huge asap, so this year we will have been treated with a lot of ASOIAF material, from the excellent HBO series, to three related works including the one discussed here! Note that Beyond the Wall contains spoilers about the series up to and including A Dance with Dragons, though I will avoid such below. "What’s intriguing about this is that Martin’s world of the Seven Kingdoms is steeped in magic. But it is not used in a “traditional fantasy” sense." "Interestingly, there is evidence in the third novel of A Song of Ice and Fire, A Storm of Swords, suggesting precisely such a desire to heighten the import of the Dunk and Egg stories." There are also three essays that are on the border between the pretentious and the interesting, but overall they fall on the interesting part mostly because they do not follow a particular pet-theory or ideology of the essay author, but stick to discussing the books and their universe. In Men and Monsters, Alyssa Rosenberg tackles quite reasonably the nature of sexual violence in the series - as I note below, imho, any (faux) medieval world is a world steeped in violence especially in times of trouble as surely we have in Westeros at the end of Robert's reign and men are also tortured and mutilated casually - as we see vividly in the books and the essay author to her credit points this out and makes the discussion more balanced. "Westeros is not built upon a shifting foundation of chaos. True, there is no clearly marked, brightly lit path to salvation. Yet characters face a painful retributive justice, born of moral absolutism, that lends reality and depth to the medieval society portrayed in the series." Actually this topic is one of great interest as I think here the divide between the nuanced fantasy of GRRM and the "four legs good, two legs bad" fantasy especially pre-Martin but also today, is clearest. "Who doesn’t love an underdog? As humans, most of us seem to be instinctively drawn to outsiders, to the excluded. At least on some level, most of us sympathize with those who are denied even the opportunity to prove their full worth. We recognize that’s just not fair." After this very 21st century quote which denotes the author's lack of experience of any society beyond the wealthy modern western one, the essay gets better and has some good stuff to say about its topic, but the beginning jarred badly. Then there are three essays following a pet modern theory (feminism, PTSD, pop-psychology) which imho are both useless and anachronistic. While they contain the occasional gem they generally read like debating angels on a pin as for example people in a world like Martin's have an exposure to violence which is almost infinitely higher than ours in the modern world so we cannot really comprehend their mindset from that point of view. Similarly the world of ASIAF is a world where the powerless and the fallen from power are treated with no mercy and women and children (and the poor and non-noble) are part of the powerless, so feminism which is a modern western doctrine has very little relevant to say about the books beyond what can be said about any "realistic" faux-medieval stuff. Pop-psychology mercifully has not been invented in Martin's world so notions like psychopaths are just silly. Of course such essays by Mike Cole, Caroline Spector and Matt Stags may appeal to some, so from that point of view their inclusion broadens the book despite that I found them quite uninteresting. "Martin thus fights the genre wars by sidestepping them. Working from within the system, refusing to apologize for what came before, he writes books that are too bloody, unexpected, and relentlessly story-driven to be ignored. In doing so, he elevates other fantasy along with his own." Here I would also include the niche essays about adapting ASOIAF to graphic form by Daniel Abraham and the one about collecting the books by John Jos. Miller, neither of which are of particular interest to me, but they provided a good overview of the respective issues. 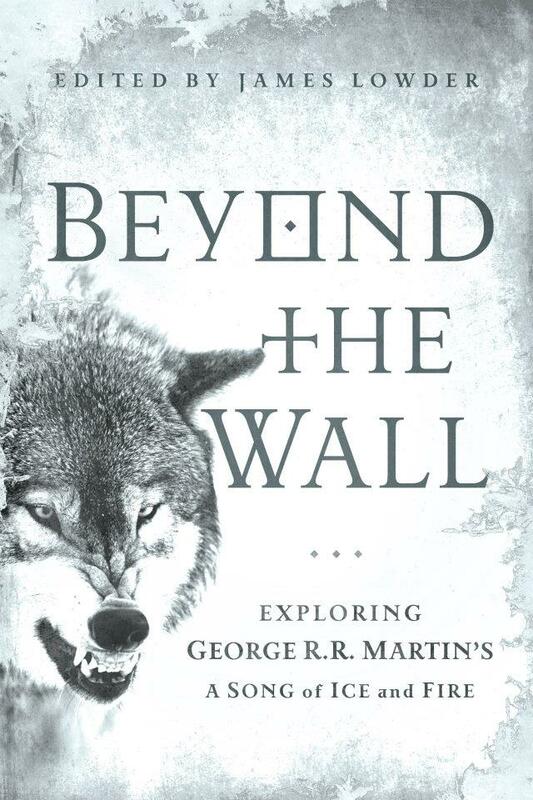 Overall Beyond the Wall exceeded my expectations and it's a highly recommended book of 2012 and a great companion to any lover of the series though keep in mind the spoiler note above if you have not read all five books to date! "Best-selling author Eric Brown has created a brand new shared world for Abaddon Books: Weird Space. This thrilling space-opera series will begin with the release of The Devil's Nebula. Brown will introduce readers to the human smugglers, veterans and ne’erdowells who are part of the Expansion – and their uneasy neighbours, the Vetch Empire. When an evil race threatens not only the Expansion, but the Vetch too - an evil from another dimension which infests humans and Vetch alike and bends individuals to do their hideous bidding, only cooperation between them means the difference between a chance of survival and no chance at all"
The Devil's Nebula turned out to be quite a disappointing book after a great start. It soon becomes corny and predictable with a story I have seen a million times in sf and a writing style that alternates between readable and very pulpy and corny; very cliche characters and action and while sometimes such is fun if the writing style is modern and cool and the action smart, here neither of those hold. 1: Interesting start - a crew of 3 misfits who thumb their nose at authority are on an artifact retrieval mission on an abandoned planet in enemy space where they get into unexpected trouble and find out some interesting stuff, but when they think they got away clear and with the booty, they are captured by the human authorities and the circus - show trial, death sentence, but of course a reprieve if they accept a dangerous mission etc etc etc - and super corny dialogue starts. 2: Interlude on a planet far away; primitive humans worship alien god(s) who of course are evil and drug them into continual happiness until they go voluntarily to get eaten (hey David Gerrold did this in a much cooler way in his Chtorr series decades ago, but ok, maybe something will come out) but special girl knows to avoid the drugged alien food and has "outlaw" friends who teach her the ropes (oops here already we start veering into corniness..). And guess what the dangerous mission above is? Well, you guessed it, make contact with said primitive humans who somehow sent a mayday distress signal to human space. 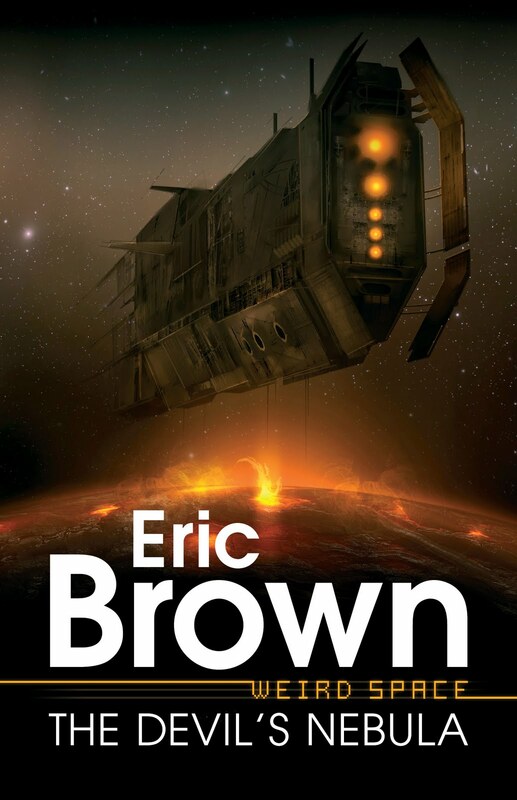 And I could continue but it's really not worth the time and energy; much better sf, space opera adventure, dangerous missions, misfit crews, etc out there. "The year is 2312. Scientific and technological advances have opened gateways to an extraordinary future. Earth is no longer humanity's only home; new habitats have been created throughout the solar system on moons, planets, and in between. 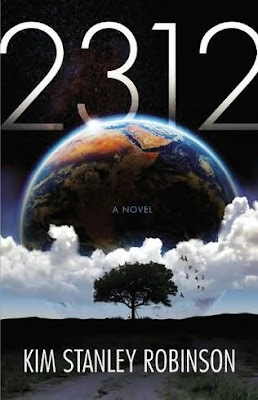 But in this year, 2312, a sequence of events will force humanity to confront its past, its present, and its future. The first event takes place on Mercury, on the city of Terminator, itself a miracle of engineering on an unprecedented scale. It is an unexpected death, but one that might have been foreseen. For Swan Er Hong, it is an event that will change her life. Swan was once a woman who designed worlds. Now she will be led into a plot to destroy them." There are a lot of detailed and raving reviews out there about 2312 by Kim Stanley Robinson and I can appreciate them intellectually, but for me the "writing magic" that makes a book more than a collection of words without special meaning beyond the dictionary one, mostly lacks here. I wouldn't call the novel disappointing as I did not expect that much from it considering my past experience with the author's style, but I wish the author would write better prose as the book is full of interesting ideas. That however is not enough as the novel is utterly lifeless and it reads like a play on an empty stage where characters rush along and try to engage the spectators in an imagination game: see, now I am traveling to Earth, now I am on Mercury, now we are in a spaceship, while a constant flow of information rolls in the background. In other words 2312 reminded me strongly of the TV play adaptions where characters talk and talk and describe action happening to them, though we actually have to imagine it, rather then see it. That's fine if the actors are great, but here as mentioned we have just a string of words. So overall, 2312 has no "external reality" and the main characters read like paper constructs than actual living human beings and the book is most likely the last I will ever attempt from the author as if one of the most interesting subjects possible for me (solar system space opera) and the book reads lifeless, there is no point in wasting time again. "It is the late summer of 1938, Europe is about to explode, the Hollywood film star Fredric Stahl is on his way to Paris to make a movie for Paramount France. The Nazis know he’s coming—a secret bureau within the Reich Foreign Ministry has for years been waging political warfare against France, using bribery, intimidation, and corrupt newspapers to weaken French morale and degrade France’s will to defend herself. 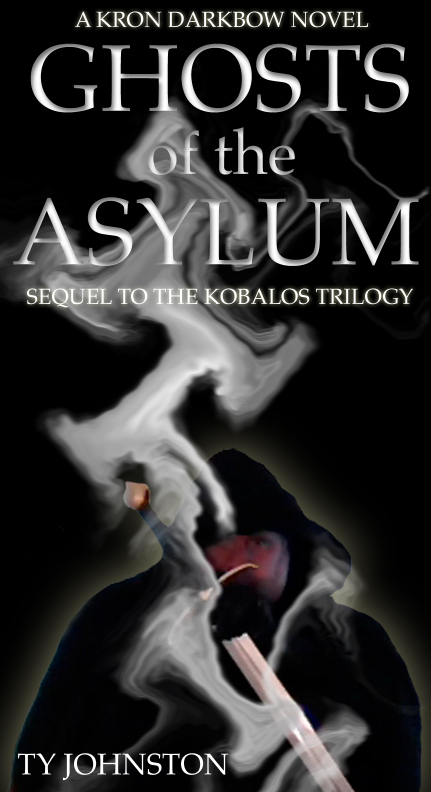 For their purposes, Fredric Stahl is a perfect agent of influence, and they attack him. What they don’t know is that Stahl, horrified by the Nazi war on Jews and intellectuals, has become part of an informal spy service being run out of the American embassy in Paris." INTRODUCTION: Alan Furst is the acclaimed author of the Night Soldiers cycle of novels that mostly take place during the late 1930's and the early 1940's. The novels are all standalone except for a pair that follows the same main character, a small time French businessman/crook who becomes a Resistance hero, but they tend to cross-pollinate with secondary characters, places and events in common. Actually, Night Soldiers, the first novel in the cycle and which gave its title, is a little different as the main hero, a Bulgarian waiter in Paris (and many other things, but as a waiter he participates in an event that sort of resonates throughout all the 12 novels to date) starts relatively young and green and the action follows him to the end of the war, but the rest of the novels tend to have older men - late 30's to late 40's - as heroes, of different nationalities (Polish, Italian, French, Russian, Bulgarian, Greek, Italian, Austrian-American) all pretty accomplished in a way or another, with a taste for sophisticated and interesting women and who are mostly civilian - journalists, diplomats, navy captains, the small time businessman/crook mentioned above and the actor in the blurb here, though there are a few professionals too like the French intelligence officer in The Spies of Warsaw or the Greek policeman in Spies of the Balkans. The books take place all over Europe - again the titles are pretty indicative of that and I can safely say that we get to see most of Europe in that crucial 1937-1940/1 period, though Paris plays the role of the positive attraction pole of the series, with Nazi Germany its dark opposite. The women of the series are also quite interesting - while none of the books features a female lead, there are a lot of very important women in the books, both as spies and event manipulators on their own as well as participants in the heroes' adventures and intrigue. Finally the bad guys tend to be mostly crude and arrogant but not stupid Nazis and their tools, though of course corrupt politicians, businessmen and Stalinist executioners populate the books also. I have read all 12 novels in the series so far, the first few in the late 90's when I discovered this wonderful author and the rest on publication and these books are of three kinds: pretty good, very good and superb, with Dark Star being on my all time favorite lists as one of those "read and read again and still want to read it another time novels" that populate that list. At various times in the past several years, I planned to do an overview of the series and I hope this introduction will entice you to check the books especially that they can be read in pretty much any order except for the "duology" mentioned above. 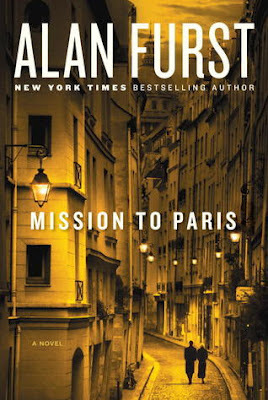 OVERVIEW/ANALYSIS: After the lengthy introduction above I could do a one paragraph review of Mission to Paris: top-tier Furst with a return to the non-pro agent (an Austrian-American actor) like in Blood of Victory or Dark Voyage. Relatively successful and charismatic male lead, the femme fatale who competes for his attention with ulterior motives, the less glamorous but more intellectual woman as main attraction, the dangerous spying game against the Nazis, game including a successful Russian emigre actress who walks on a knife's edge in the Nazi leaders lair, the quiet assassins, the well meaning but unable to do too much officially persons of importance, the Balkan corruption and of course here Paris is as much a star as the main characters and we get too see a movie production to boot too. "Slim, well-dressed, quiet, Herbert made no particular impression on anybody he met, probably he was some kind of businessman, though he never quite got around to saying what he did. Perhaps you’d meet him again, perhaps you wouldn’t, it didn’t particularly matter. He circulated comfortably at the mid-level of Berlin society, turning up here and there, invited or not—what could you do, you couldn’t ask him to leave." After this interlude we start with the main story and our hero, Frederic Stahl, makes his apparition on a liner that sails the Atlantic between America and France. "It was true that he’d “wandered about the world.” The phrase suggested romance and adventure—something like that had appeared in a Warner Bros. publicity bio—but it didn’t tell the whole story. In fact, he’d run away to sea at the age of sixteen. He was also not really “Fredric Stahl,” had been born Franz Stalka, forty years earlier in Vienna, to a Slovenian father and an Austrian mother of solidly bourgeois families resident in Austria-Hungary for generations. It was said of him by those who made a living in the business of faces and bodies that he was “a very masculine actor.” Stahl wasn’t sure precisely what they meant, but he knew they were rich and not for nothing. It referred, he suspected, to a certain inner confidence, expressed by, among other things, a low-pitched voice—assurance, not just a bass register—from an actor who always sounded “quiet” no matter how loudly he spoke. He could play the sympathetic lawyer, the kind aristocrat, the saintly husband, the comforting doctor, or the good lover—the knight not the gigolo." Why would such a successful Hollywood actor come to Europe in 1938 when the dark clouds are evident to anyone? Well, we immediately see some hints - what Jack Warner wants, Jack Warner gets - and from there the book just rolls and I simply could not put it down till the end. The loving descriptions of Paris and its high life in which Frederic is soon co-opted is definitely part of the attraction, but the novel also moves to Berlin, North Africa and even Hungary and Romania, so we cover quite a lot of territory physically too. Mission to Paris (top 25 novel of 2012) is vintage Furst and among his best work in the series, while being a good starting point for people not familiar with the wonderful world of Night Soldiers! 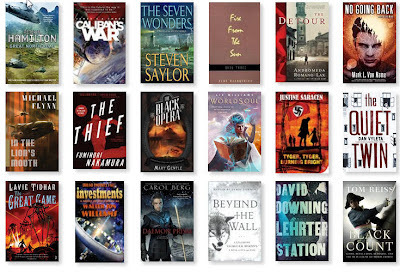 In the same spirit as the recent posts about the most interesting upcoming books of 2012, here is a bit more about three 2012 novels that may or may not be considered sff, but have all the characteristics that make sff so interesting to me. In 2009, Brian D'Amato published the superb In the Courts of the Sun first in an announced trilogy called The Sacrifice Game. The novel was a combination of near-future extrapolations, time travel and a wonderful recreation of the Maya world of the 7th century, all narrated by unlikely hero Jed de Landa, or more precisely by Jed 1 and Jed 2 as the form of time travel the novel uses, leads to that. "born in 1974 and displaced from his native Guatemalan village by military action, Jed is taken as a young age to the US and grows up in foster care in Utah, exhibiting physical frailty since he suffers from hemophilia so any wound or cut is potentially fatal, while showing great mental agility especially in fast numerical computations and ability to play games of skill and chance". Published in early March though I managed to get a copy and read it only in early April, Gods Without Men, the awesome tapestry novel from Hari Kunzru kept only growing in my estimation since. I wrote a sort of raw-thoughts mini-review on Goodreads, though the book is even better appreciated on a second or third read as its subtlety becomes more evident and the somewhat abrupt ending less jarring and more natural. 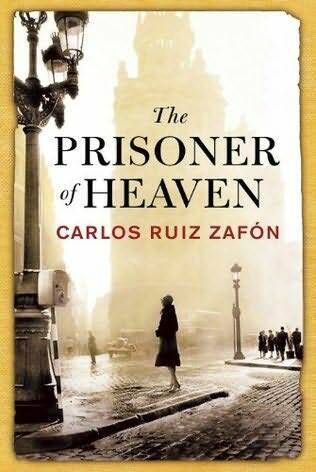 As I was away from FBC at the time, I was not able to do a full review and while I hope to do it at some point this year, for now I urge you to take a look at the book and prepare to enjoy the multilayered story and its joyful style and unlikely heroes.